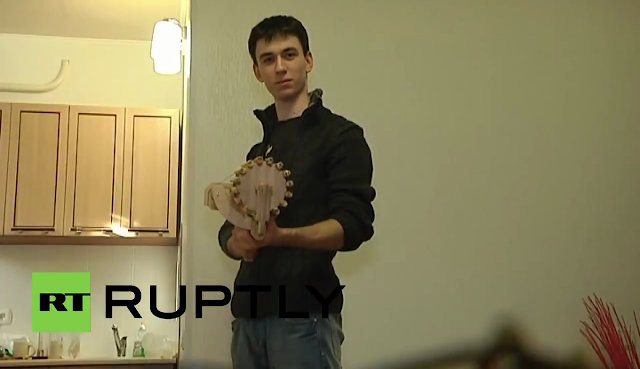 A student from Ukraine ha builds a wooden machine gun, His video getting viral on social media. 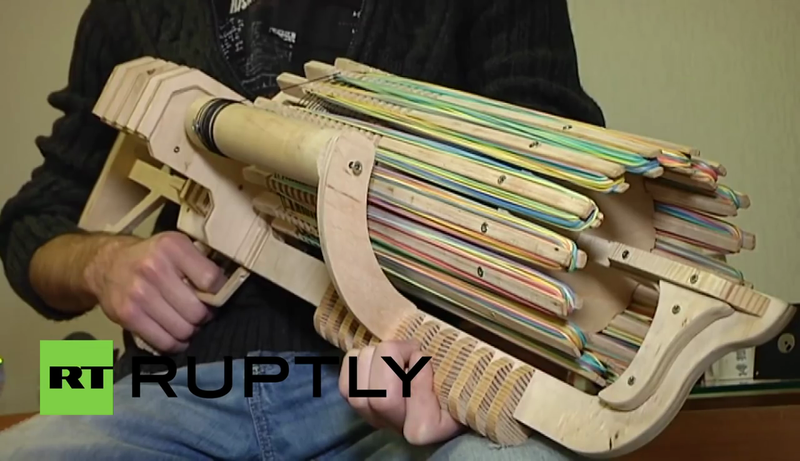 This is actually rubber band machine gun. Student name is Alex he is a student of The National University Of Luhansk Of Ary Design. This gun can shoot 14 rubber band in 1sec. This gun can fire 672 rubbers in the range of 23 feet means up to 8 meters. This gun is in the online market to sell and it’s price is 140 USD.